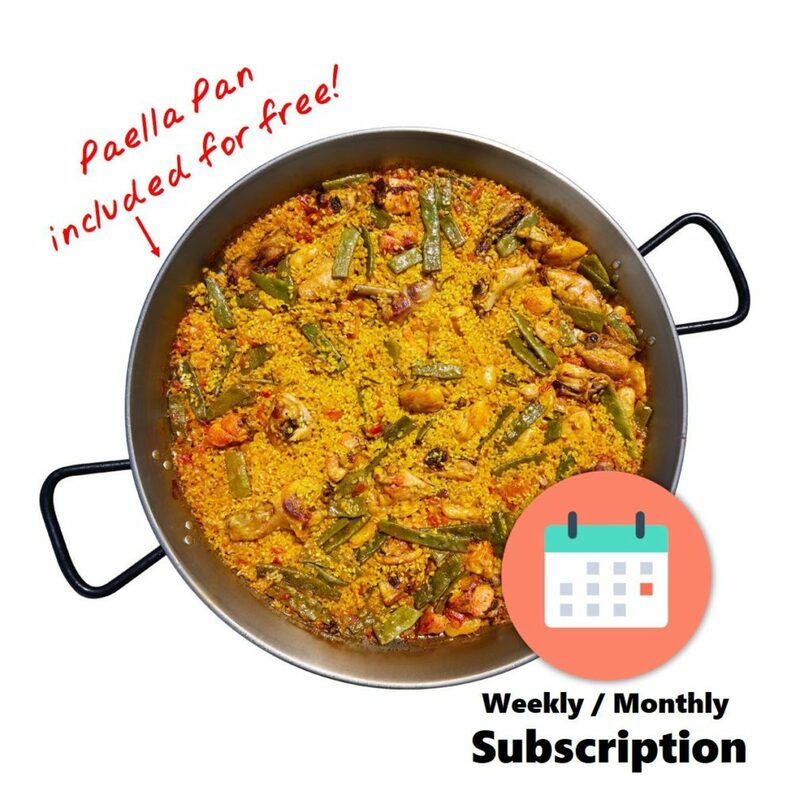 Subscribe to a weekly or monthly delivery of an authentic Paella Valenciana (chicken and vegetables) cooked by an award-winning Spanish Maestro Arrocero. Traditionally cooked (except the rice) in our kitchen and shipped directly to your door in a box with the exact amount of rice on the side so you can easily finish it at home in only 18 minutes and enjoy with your family. Paella Sundays are here! “Pan” included for free with first delivery! Paella In a Box! Our unique concept is a “Real” Paella valenciana, made to order, shipped in a box. We at Ibérico Club were a little bit tired of tasting paellas, all over the USA, that were not actually paellas but rice with things. So we thought we’d hire an authentic Maestro Arrocero (Paella Chef) from Spain, and follow the traditional recipe, reinventing the packaging so you can enjoy it at home. No more rice with things, now you can enjoy an authentic Paella Valenciana (chicken & vegetables) to finish at home. Just pour the jar's content and rice into a paella pan and heat it for 18 minutes...Voila! You order your paella online. (The paella pan is optional but highly recommended). Our authentic Paella Chef cooks the paella for you (he cooks all the ingredients except for the rice), and he puts all the pre-cooked ingredients sealed in a beautiful jar. 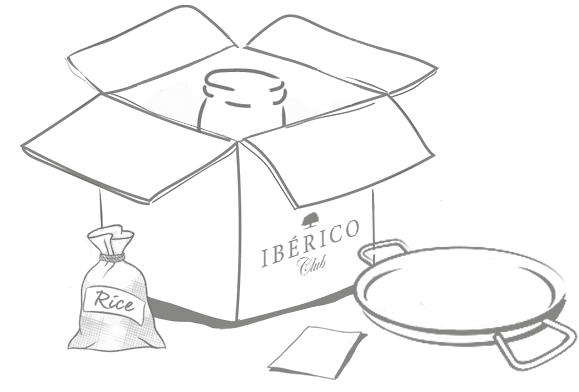 We send you a box with the jar and the exact amount of uncooked paella rice in a bag. You receive the box in a few days at your door and you store the jar in the fridge until you’re ready to enjoy it. When you are ready to enjoy it, you pour the content of the jar into the paella pan and heat until it simmers. Then you add the bag of rice and leave it simmering at medium heat for 18 minutes, until the liquid is gone. You let it rest for 3 minutes and enjoy the best paella you’ve ever had in the USA. Then this paella is for you. You are not really cooking the paella, just finishing it at home, but we won’t tell anyone 😉. Our Paella Chef cooks all the ingredients for you except the rice. You receive at your door a jar with the pre-cooked ingredients and a bag of rice. Just heat the pre-cooked ingredients in the paella pan and add the rice, wait for 18 minutes at medium heat and done! 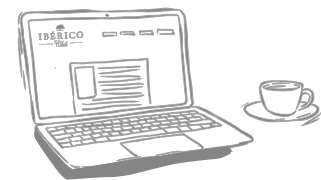 It’s extremely easy to finish at home and at the same time you’ll be surprised of what you have been capable of! The box comes with step by step instructions that you have to follow carefully and you’ll make the best paella you have ever tried. Guaranteed. Yes! Nothing to worry about. It’s very easy and your order includes detailed instructions on how to finish the paella at home. No cooking experience required. All the ingredients are included. Just follow the step by step instructions very carefully and you’ll be the talk of town! Our “pre-cooked” paella takes only 18 minutes to finish at home and it’s extremely easy. Just heat the jar’s content in the paella pan and once it’s simmering add the rice and leave at medium heat. The most iconic dish from Spain is only 18 minutes away. Is the Paella Pan Included? We have the best paella pan in the market and it is optional, although we recommend purchasing it. It’s a one time purchase and you’ll be able to make hundreds of delicious paellas in it. It’s the perfect size for our paella. After using it and before storing the pan you have to wipe it with vegetable oil with a paper cloth to leave a thin layer that will protect the pan from getting rusty for next time. Yes, the jar has to be refrigerated until you’re ready to prepare it. The rice doesn’t need refrigeration. 30 days. Each jar comes with its specific expiration date. If I Order Now When will I Receive My Paella at Home? 4 to 5 business days from the day you place the order. Normally, we cook your paella the next day (sometimes even the same day), and one more day to get the order ready to ship. Shipping takes 2 to 3 business days. Once you receive it you have 25 to 30 days to enjoy it. Is the Paella for 2 a Good Portion? Our paella for two is pretty generous so you will have more than enough for two people. It serves 2 big portions or 4 regular portions. Paella party! We love it. Our Paella for 4 will serve 4 to 6 people, so you can always prepare 2 paellas for 4 and feed 8 to 12 people, but you have to make sure you have enough space in your cooking range for two 15 inch paella pans. I Thought Paella Valenciana Had Seafood! Well, there is a seafood paella, but the original Paella Valenciana is a meat and vegetables paella. You’ll be surprised with this simple and delicious paella. Once I Finish Eating the Delicious Paella, What do I do with the Paella Pan? After using it and before storing the pan you have to wipe it with a paper cloth and some vegetable oil to leave a thin layer that will protect the pan from getting rusty for next time. Then get ready to order another delicious paella! The Paella Pan is included for free with your first delivery! We offer the best Paella Pan in the market in two sizes: 12” Paella for 2 people or 15” Paella for 4-6 people. Our polished Paella pans can be used on any cooktop (vitroceramic/induction, gas, woodfire). Just the finest fresh ingredients cooked following the traditional recipe and packaged with the authentic “Bomba” rice on the side, to finish at home and enjoy a truly unique experience. 100% Natural, No Preservatives, No Artificial flavors, No Chemicals or Additives. The best Paella you will have in the USA. The shelf life of our “made to order” paella in a box is 30 days. Keep the jar in the refrigerator. 1 Jar with the cooked Paella (except the rice) for 2 people. 1 bag of “bomba” rice. Just the exact amount for 2 people. Step by Step “How to Prepare” guide. Included for free: An induction/gas polished Paella Pan (12” or 15”). Pour the content of the jar into a paella pan and bring to a boil on medium heat. Add the rice and spread evenly across the pan. Leave to simmer for 18 minutes on medium heat until the liquid is absorbed. Your unique paella is ready! * Let it stand for 3 minutes before serving. I’m originally from Valencia, Spain and after trying this paella at home I honestly felt transported from NY to a small restaurant in my hometown. What a treat to have this in the USA! Thank you Ibérico Club”. 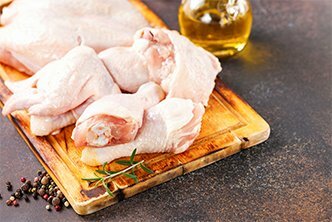 Fresh cuts of free range chicken, never given any hormones or antibiotics. We use only selected, fresh, and delicious “real” chicken. A real Paella Valenciana only uses rice from Valencia. “Bomba” rice absorbs twice the liquid compared to a regular rice, and that is why it captures so successfully the flavors of the rest of the ingredients. This rice gets a nice holding without sticking and it rarely breaks while cooking. Juicy, bright red tomatoes on the vine, selected at their peak. 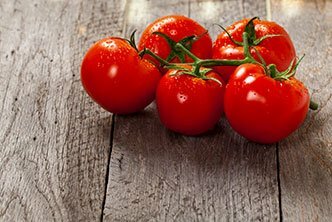 What is a Spanish sofrito without a flavorful tomato. 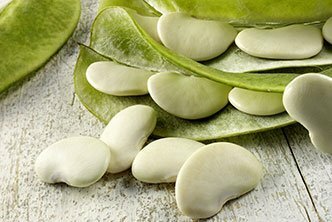 Unique big flat lima beans grown in the Valencia region, where it constitutes a fundamental component in the seasoning of rice. The “red gold” of the paella. A small pinch is a great gift for the paella. 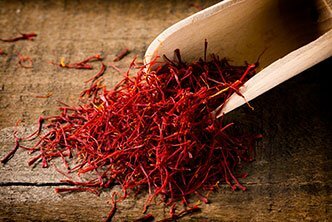 It provides with an intense perfume, a very distinctive flavor and of course its particular yellow color. 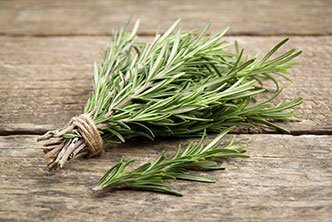 A Mediterranean herb with a woodsy-citrus-like fragrance that fills your plate with country side aromas and flavors. A must in the traditional making of Paella Valenciana. 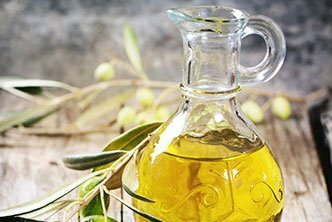 Extra virgin is the highest quality and most expensive olive oil classification This gold colored Olive Oil is made simply by crushing olives and extracting the juice, without any chemicals. It has no defect and an authentic flavor of fresh olives. 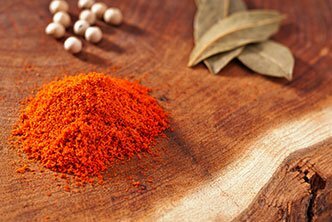 Smoked Paprika. Obtained from several varieties of red pepper, dried and grinded. It provides a sweet and smoky flavor very unique to paella. Spain’s premium rice to make the finest Paella. Bomba, ​also called Valencia Rice, is a short grain, almost round rice, with a pearly color. It absorbs three times its volume in water as opposed to the average rice grain, which absorbs only twice its volume. 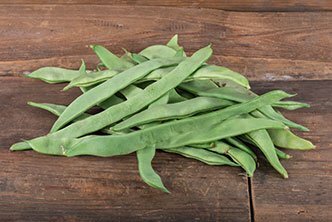 This means it absorbs more flavor, while maintaining the perfect texture and does not stick together. 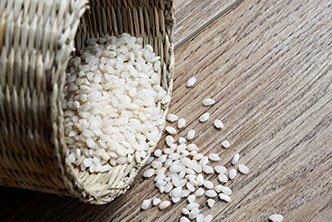 For these reasons, bomba rice is highly prized by cooks and chefs all over Spain. Special Thanks to Our Kickstarter Backers! Seth Adamson, Frank Sanchez, Rodrigo Teijeiro, Daniel Yuste, Travis White, Kevin Longa, Carmen Rodriguez, Marcos Aísa, Rosa Jiménez Cano, Christian Martinez, Jimena Zubiria, Teresa González Estéfani, Dario Bustelo, Malen Buenaventura, Marcus Hermann, Douglas Almeida, Ari Ritchie, Carlo Tibung, Todd Turner, Augusto Quintanilla, Miguel Yacobi, Pam Leffler, Miguel Pinilla, Luis H. Escobar, Antonio Herrero, Javier Reyes, Eduardo Vilar, Whitney Trujillo, Chechu Lasheras, Joaquin Quiñonero Candela, Yosmar M. Martinez, Gustavo Medina del Rosario, Marie Araneta, Elena Sanchez, Paul Trueba, Sergio Sardiñas, Daniel Klodt, Sergio Marsal, Manuel Murga, Marcos Sainz, Leilani Alejo, Eloisa Labao, Langston Walker, Kristen Adams, Dyne Lee, Eric Beard, Matt Kelly, Vanessa Rubio Perez, Tabitha Kepilino, Pilar Barrionuevo Moro, Marta S. Tarantul, Bruno Cendón, Maria A. Lopez Larios, Andrea Kiwala, Roshanda Minor, Carlos Barbero, Eduardo Naranjo.